The coming year 2013 will be a year of Gadgets. As we see that most of the Technology Giants are going to launch their products in the mid of the coming year. Most of the biggest gadgets are supposed to be launched on the Consumer Electronics Show. I already written articles about the expected technical specifications and launch dates of Apple iPad Mini 2 and iPad 5 and iPhone 5S. 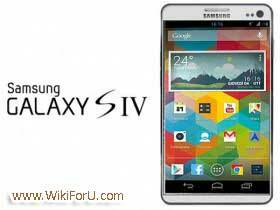 So here, i am going to give you some details about the technical specifications and launch date of the next Samsung Galaxy S device...that is Samsung Galaxy S4. Rumors confirmed that the south Korean Tech Giant 'Samsung' will launch its next Galaxy S device i.e. Galaxy S4 in the April 2013. While some others reported that this product may be launched in the mid of the 2013 with the launch of Newer Android Version 5.0 - Key Lime Pie . The expected technical specifications are really wonderful. There is a Hands On video given below which describes what features will Galaxy S4 have. The video is made by ROZETKED and is given below the article. According to the video, The Galaxy S4 will have a laser keyboard and a very slim body. It will run on newer version of Android that is Android 5.0 aka Key Lime Pie. The upcoming Smartphone will have a 2 GHz quad core processor with a 2 GB RAM which will be super fast and powerful. It will have Super AMOLED Display. It will also have primary and secondary cameras, having primary camera of 13 Mega Pixels. Primary : 13 Mega Pixels. Launch Date: Samsung Galaxy S4 is expected to be launched in the mid of 2013 or April 2013.